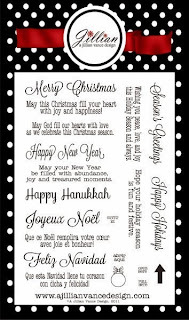 A Jillian Vance Design: Happy Hanukkah card!! Hello everyone! 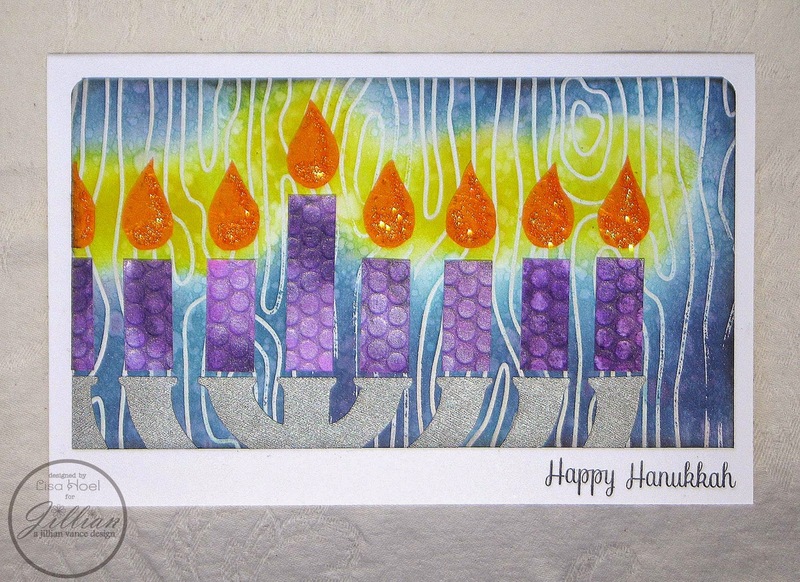 Here I am again with a festive Hanukkah card. I thought it would be appropriate for today's post since it is the first day of Hanukkah. The background was done using a faux batik technique that I'll show you how to do. This is one of those "oldie but goodie" techniques that is handy to have in your box of tricks. 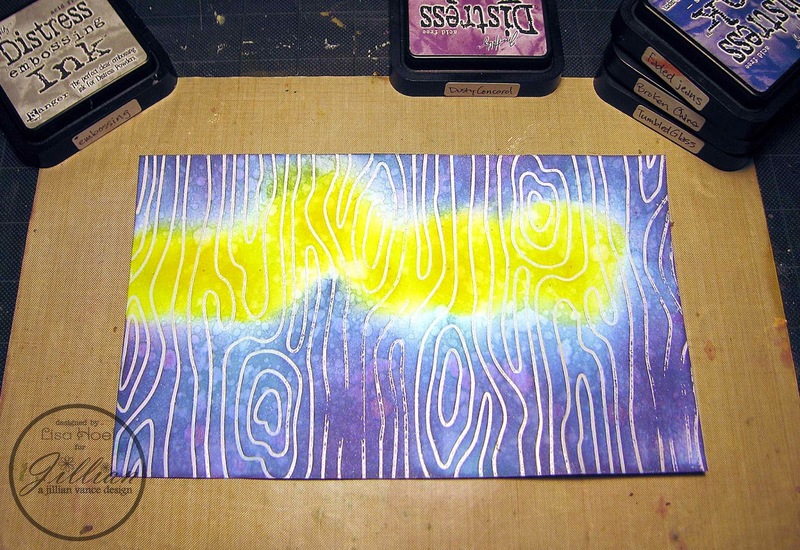 First I stamped the Woodgrain stamp on the cardstock using clear embossing ink and then embossed with clear powder. This acted as a resist and mask for subsequent inking. I then blended various Distress Ink colors over the background, taking care to position my "candle glow" in the right spots. After you have done all the inking, it's time to remove the clear embossing powder. This is accomplished by laying a clean sheet of copy paper or plain newsprint over the embossed areas and heating it with a iron. 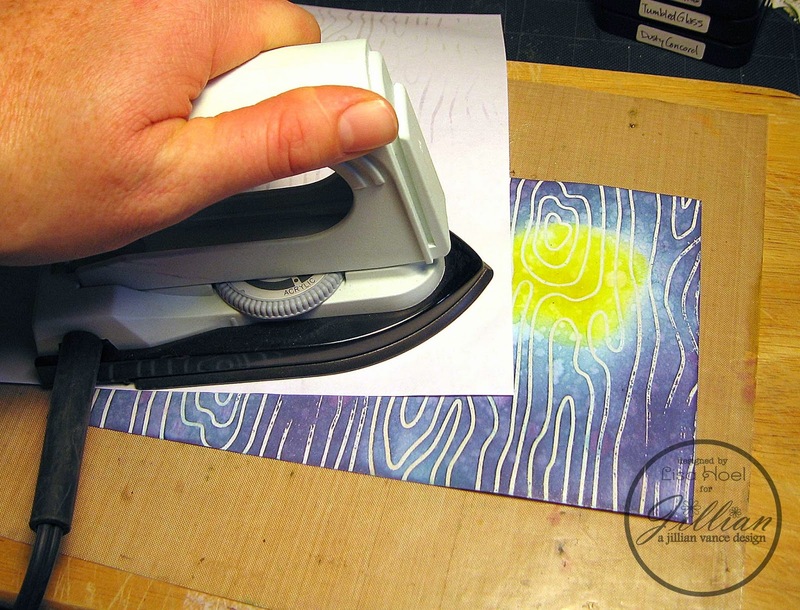 The embossing powder melts and is absorbed by the paper. Remove the paper before the powder cools. If the paper sticks, just reheat it with the iron. This makes the paper perfectly flat and gives you that batik resist look. The menorah I paper pieced and adhered to the background. I used sequin waste to emboss the pattern into the paper I used for the candles. What a fantastic card! 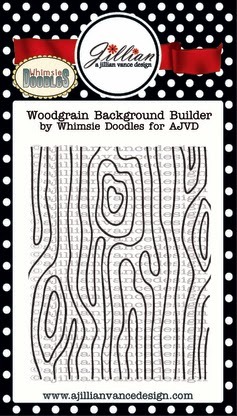 I love that great embossed and inked background!